In something that started as a half-drunken promise, Ernest‘s delightfully intimate back room plays host to some of the best and most obscure indie songs the 90s had to offer on Friday 15th January. It’s a unique chance to relive the 90’s, partake in a bit of jumping around to indie anthems and mellow down with a bit of gazing at your own shoes. Expect bands like Pulp, New Order, The Jesus And Mary Chain and The Happy Mondays, as DJ Michaela will be playing the best selection of songs every indie kid harks back to from a golden age of music. It’s self billed as something that’s not a club night, from people who aren’t promoters, so a lovely, warm atmosphere is assured in the company of people who just love the music too. 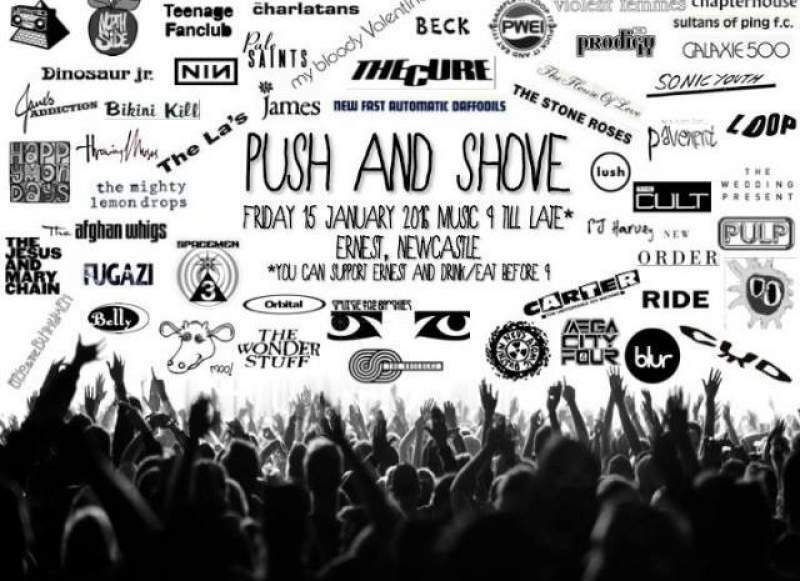 Push And Shove takes place at Ernest on Friday 15th January.